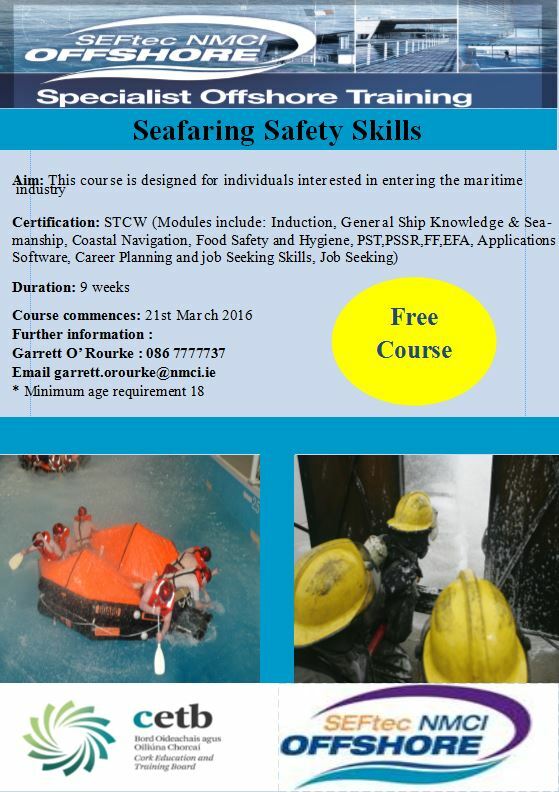 SEFtec NMCI Offshore, in conjunction with the Cork Education Training Board, will be running a 9 week Seafaring Safety skills course at the National Maritime College of Ireland. The course will commence on March 21st 2016 and is suitable for those wishing to change careers paths, get back to work or to up skill. A maritime career is one where adventure and different daily experiences are a given. This course will give you the skill set needed to enter into a maritime career.